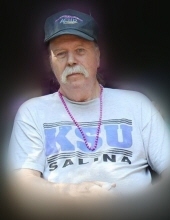 Celebrating the life of Ralph James Pulver, Sr.
Obituary for Ralph James Pulver, Sr.
Ralph James Pulver, Sr. 79, of Nampa passed away Friday, March 29, 2019 at his home of natural causes. Ralph was born October 11, 1939 to Ralph James and Grace M. Grieser Pulver in Salem, Oregon and grew up in Woodburn, Oregon. Ralph married Jennie LaReve Gifford on August 2, 1968 in Boise, Idaho and were sealed in the Salt Lake LDS Temple on August 17, 1970. They resided in Nampa. He worked for the Ada County Highway District (ACHD) and was a gardener at the Old Idaho State Penitentiary. He loved gardening and making the world a more beautiful place. He liked sports and especially liked watching football. The family remembers the wonderful times they had with their dad traveling through Oregon and camping in the Idaho and Oregon mountains. Ralph leaves behind his children: Margie (Aaron) Cook, Ralph (Annette) Pulver, Reva (Don) Underwood, Ron Pulver, Jennie Arnold and Becky Harrison; 28 grandchildren, 37 great-grandchildren and 6 great-great-grandchildren. He was preceded in death by his wife Jennie “LaReve” Pulver; his parents; four brothers and 2 sisters. Funeral services will be held at 1:00 p.m. Friday, April 5 at The Church of Jesus Christ of Latter-day Saints located at 7809 Deer Flat Road in Nampa with burial at 3:00 p.m. in the Melba Cemetery, Baseline Road in Melba. "Email Address" would like to share the life celebration of Ralph James Pulver, Sr.. Click on the "link" to go to share a favorite memory or leave a condolence message for the family.